The Shorin-Ryu Matsubayashi School of Karate-do was created by Master Shoshin Nagamine in 1947. After his passing away, November 2, 1997, his son Takayoshi Nagamine Sensei continued as Soke of the school until his sudden and unexpected death on April 25, 2012. At present, a World Shorin-Ryu Matsubayashi Karate-do Association has been created. 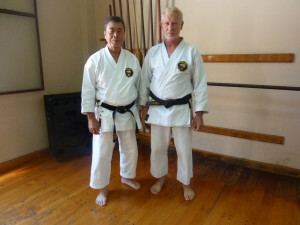 The president of this Association is Yoshitaka Taira Sensei (Hanshi 10th Dan). This institution also includes a Vice president, a Chairman of Board, an Overseas Manager, a Secretary and an Accountant.